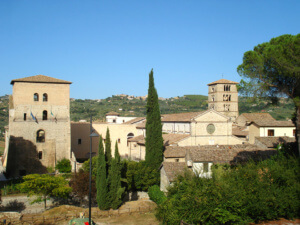 In the heart of Sabina you can find a magic place, surrounded by a fairy-tale village: the Abbey of Farfa. A spiritual and touching site, every year hundreds of romantic couples choose it as location for their weddings, looking for an exclusive setting for the big day. The Abbay sets close to Acuziano mount, in Fara Sabina area, and it’s even near Rome. 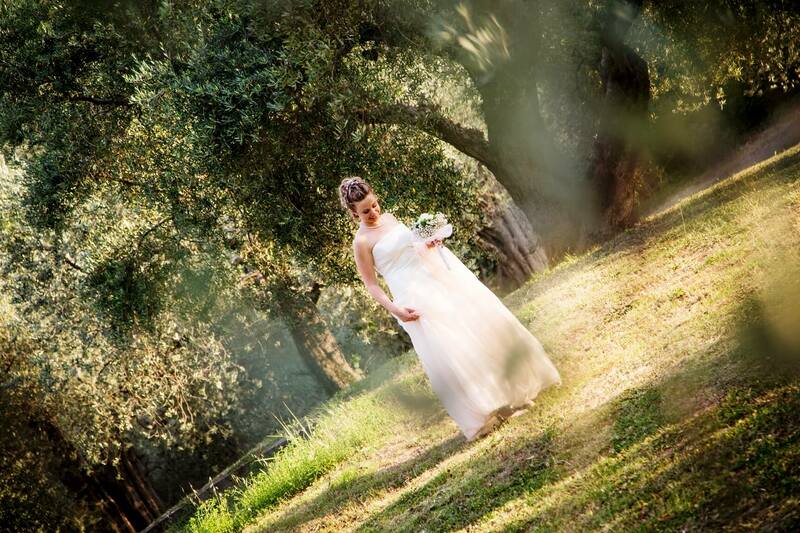 Rieti and its territory offer a lot of natural and magical locations, able to make emotional and suggestive every ceremony. Getting married in Farfa is one of the best choice to fulfill your wedding day with romanticism and magic. The Abbey is located in an enchanted place, a village that conveys a very special feeling, where you cannot resist to emotions. It’s much more than a traditional church, it’s a love manifesto, a place where nature stands still and calls out her supremacy and her beauty. Why getting married in Farfa? There are so many reasons to choose Farfa for your wedding, and we don’t have too much time to list all of them. However we want to be helpful and summarize all in 3 things to not forget. Touching ceremony. We have no doubt about it: the Abbey of Farfa has such a spiritual power to move everyone. A wedding is also a religious celebration, that consecrates a mutual commitment. Abbey structure is as imposing as is magic, as romantic as easily reachable. Sabina territory. An area such this one offers so many places to celebrate your big day in the best way. Restaurants, villas, agritourisms, you really don’t know what to pick. On the top of your list don’t forget to insert our Bagolaro, we know how to surprise you! Amazing cooking. Sabina is a land full of flavours, foods and drinks, that will make your wedding flawless and unforgettable. Choosing a farm-to-table restaurant is the easiest way to get the best products and the best quality every day of the year. If you need help, don’t hesitate to contact us! Let’s make perfect your wedding day!